Run ezManager, and click [Search All] button in the window. When ezTCP is searched, select the corresponding MAC address displayed on the [Search Result]. And then, click [Status] button to see "Status" window. You can confirm the firmware version like the below image. Run ezConfig, and click [Search All] button in the window. Run ezConfigMP, and click [Search EZL-400 Series] button in the window. 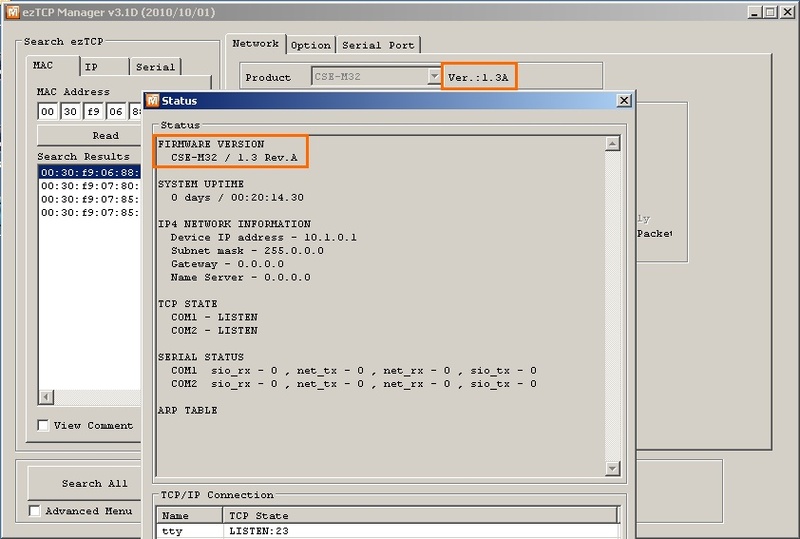 When ezTCP is searched, select corresponding MAC address displayed on the [Search List] window and click [Read] button. 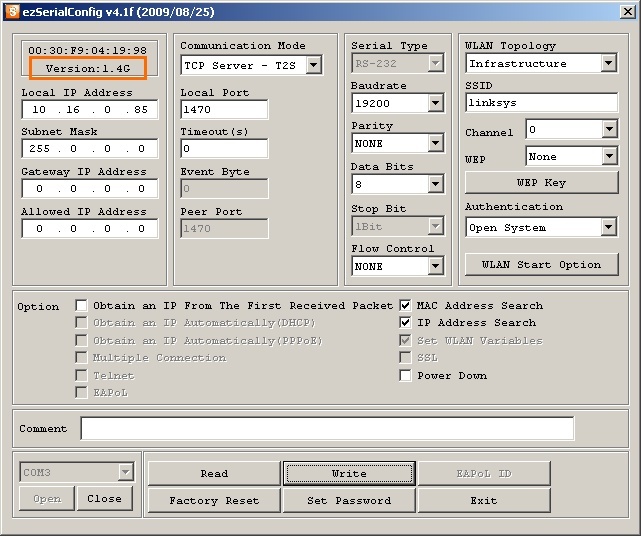 Then the main configuration window of ezConfigMP is appeared. You can confirm the firmware version like below image. Run ezSerialConfig, and click [Open] and [Read] button in order. Then, you can see the version of firmware on the top of the left. Run ezConfigIO, and click [Search All] button in the window. 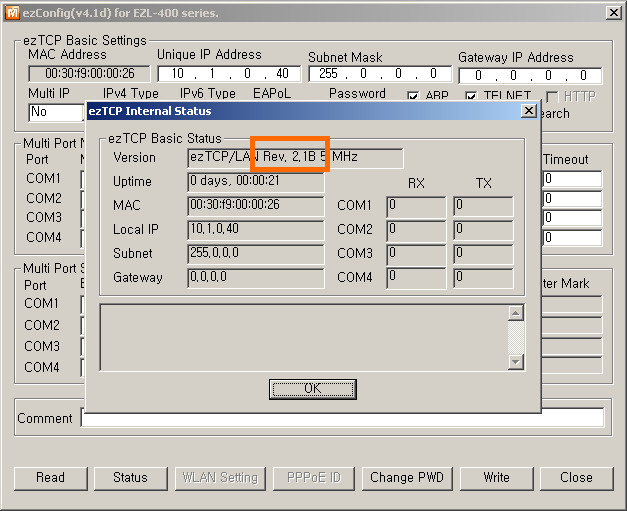 When ezTCP is searched, select corresponding MAC address displayed on the [Search Result] window and click [Read] button. Then the main configuration window of ezConfigIO is appeared. Input "env ver" command in console mode or after telnet login. Then you can confirm the firmware version. 7. AT Command : "ati3"
Input "ati3" AT command in AT command(ATC) mode. Then you can confirm the firmware version. Input "!pi"(product information) command. Then you can confirm the firmware version.